A piece of family folklore - are we related to Queen Victoria???? 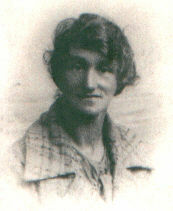 A young girl was in a Post Office in Exeter. She was approached by someone with a pram, asking if the girl could look after the baby for a short while, while the mother went about her business. Time went on - a few hours, and the girl naturally became distressed. Eventually the authorities were called, presumably by the Post Office staff, and the baby was sent to the Exeter Workhouse (now the Royal Devon and Exeter Hospital) to be cared for. 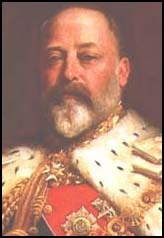 Later, my Grandfather, William James Willis, told his Sister Lily, that Florence was the child "of a Royal Duke by a Kitchen Maid", and that the man in question was Albert Edward, Duke of Cornwall; later to be King Edward VII. Lily relayed this account to Aunty Rhoda in all good faith - and she was known as a very trustworthy woman; she would not have related the story unless she believed it fully! Of course, we cannot confirm such an account - and neither can it be disproved, except by DNA testing! Edward was a known womanizer, completely indulging himself in women, food, drink, gambling, sport and travel. Alexandra, his wife, turned a blind eye to his extramarital activities, which continued well into his sixties and found him implicated in several divorce cases. Stranger things have happened!! And IF it's true, it means that I'm Queen Elizabeth II's Second Cousin, and Queen Victoria was my Great-Great-Grandmother!!! 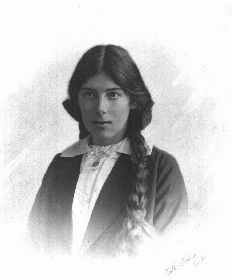 She recalls that Florence also had a "Nottingham accent"; and her version of the 'family tale' as related by her Mother, the above Lillian, is that Florence was the illegitimate daughter of a maid and a "Scottish Lord"
But it is still an interesting tale to tell!!!! 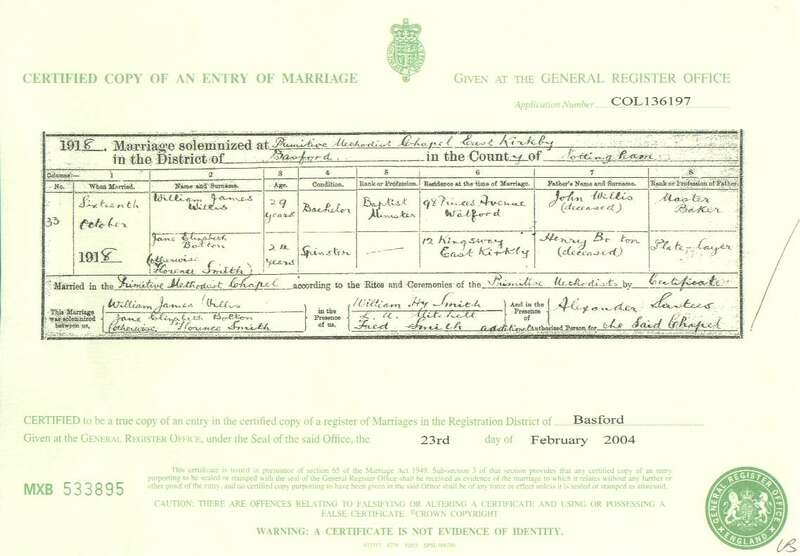 I now have William & Florence's Marriage certificate in front of me..... A copy can be found by clicking here. 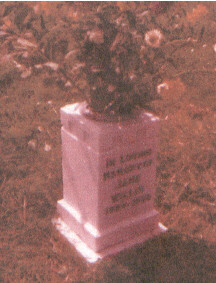 BUT... Florence Smith's real name is given as "Jane Elizabeth Bolton".... with the addition after her name "otherwise; Florence Smith"
And her father is noted - Henry Bolton (Deceased); occupation Plate-layer. The two witnesses are William Henry Smith and Fred Smith, plus L. A. Mitchell - Are these "Florence's" adopted family? And if she was abandoned (a Foundling, as it is called) how did she know her father's name and occupation to put on the certificate? At least we now know that the tales of a "Scottish Lord", or even Edward VII, were completely untrue! I wonder why they did it? Sympathy vote maybe? William was accomplished at being economical with the truth, as I've found out. I've searched the 1901 census many times with all combinations of Florence, Jane, Smith and Bolton, and the best I can come up with is a "Florance Smith" in the Basford Union Workhouse, aged 9, born in Beeston - noted as an inmate, but obviously on her own. This workhouse is the 'local' one for the area, and Beeston is in the right locality, and ages are often a year or two out. 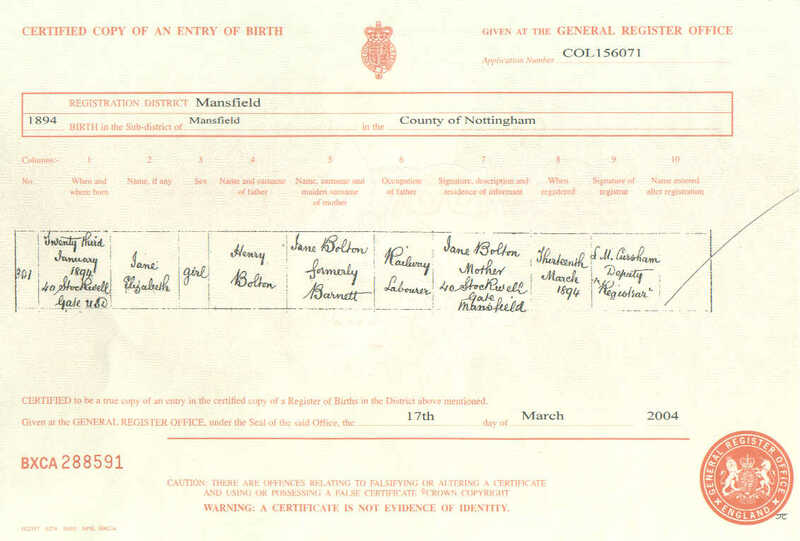 Now I have both her Fathers name: Henry Bolton (and occupation confirmed as Railway Worker), and her Mothers name: Jane Barnett... The quest continues!